• Size: 50mm x 90mm. Digitally Printed in Full Colour. 350gsm Pristene White Board. • Prices include basic artwork. • Design charged at R450 per hour if design time exceeds 30 mins. • All prices exclude VAT and delivery. 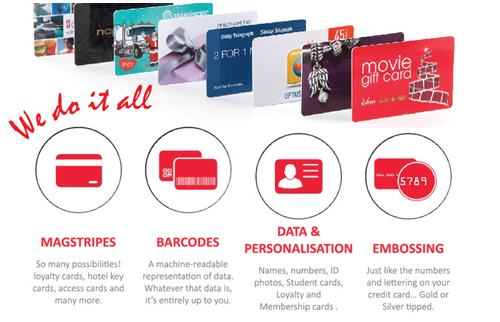 (Matt or gloss laminate gives the cards an upmarket and executive look and feel. Above prices are for the same design throughout all the cards. Multiple names can be done. 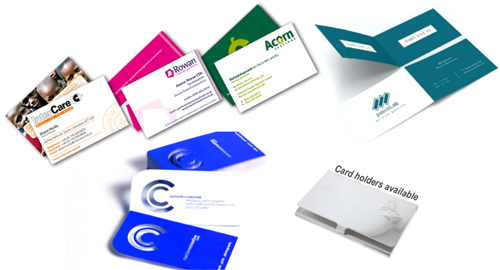 • Various sizes,paper and finishes available, request a quote. • Request a quote for Custom Dye cuts and Matt/Gloss Lamination. • Design charged at R450 per hour. • Each sheet printed in 1colour on 80gsm paper. • Padded onto 1200micron backing board. • Full colour covers optional, request a quote. • Cover and inside printed on Magno Satin, Saddle stitched. • Request a quote for Matt/Gloss Lamination. • Design charged at R450 per. • Printed in Duplicate or Triplicate. • 1 Colour print. Numbered and perforated. • Price includes basic layout. • Design charged at R450 per if design time exceeds 30 mins..